As of 3:08pm, storms had not yet developed but they will. 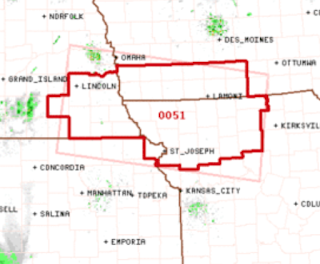 Now is the time to begin monitoring the weather because the storms will move quickly from varying directions in this case. 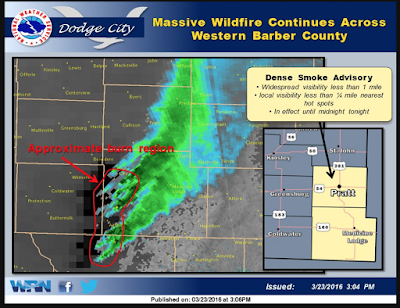 The huge grassfire in the Kansas Gyp Hills is now of epic proportions as the graphic from the NWS in Dodge City shows. Fortunately, the fire missed the town of Sun City. 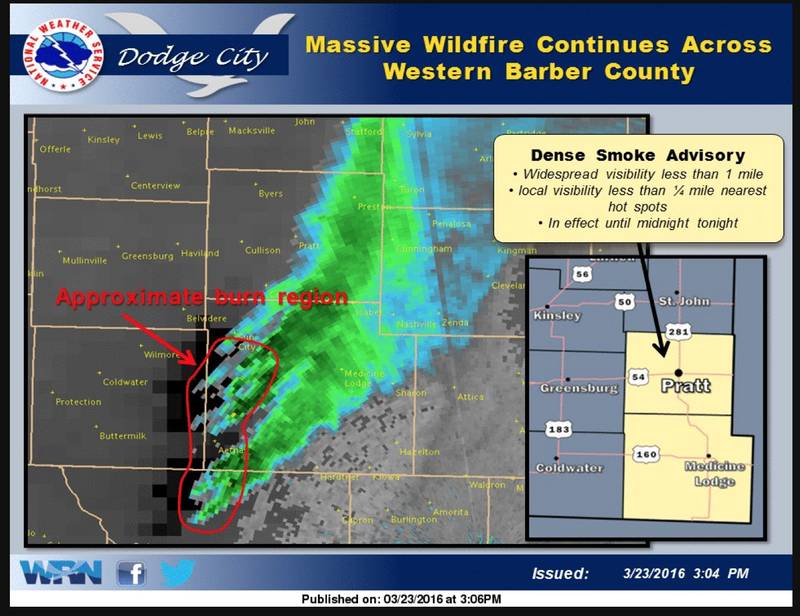 The green is smoke from the fire as detected by radar. Please stay out of the region and allow emergency crews to do their work.